Nemaura Medical is a medical technology company developing sugarBEAT® as a non-invasive, affordable and flexible Continuous Glucose Monitor (CGM) designed to help people with diabetes and pre-diabetics to better manage their glucose levels by spending more time in range. Insulin users can adjunctively use sugarBEAT® when calibrated with a finger-stick glucose reading. Please click here to view a video of sugarBEAT®. With over 420 million diabetics worldwide and the number of pre-diabetics at almost three times this number, diabetes is a global healthcare concern. Combining clinical research with patient-friendly technology, sugarBEAT® is expected to deliver a non-invasive, affordable and flexible method of tracking blood glucose for better diabetes management. 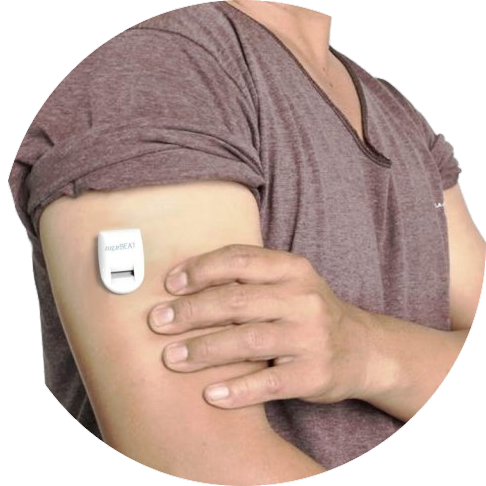 SugarBEAT® consists of a daily disposable adhesive skin-patch connected to a rechargeable transmitter, with an app displaying glucose readings every five minutes for periods up to 24 hours. SugarBEAT® is expected to help person with diabetes and pre-diabetics better track how lifestyle factors can impact daily glucose level trends (known as an Ambulatory Glucose Profile) thereby significantly improving the amount of daily time spent in range. This behavioural change in turn should help delay or even prevent long term health damage typically caused by diabetes. 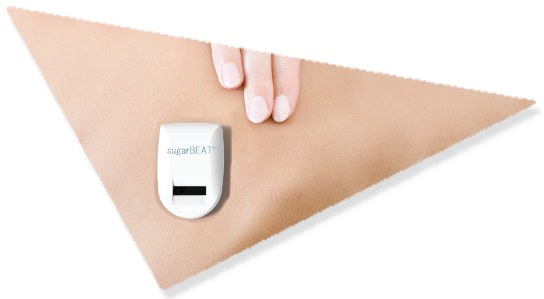 Passing a mild, non-perceptible electric current across the skin, sugarBEAT® painlessly draws a small amount of glucose molecules out of the interstitial fluid which naturally sits just below the top layer of skin, into a chamber within the patch. The rechargeable transmitter then measures the glucose levels present within the chamber, and securely transmits this clinically relevant data every five minutes via Bluetooth to a pre-downloaded smart phone / device app. 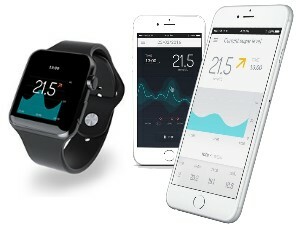 Using a proprietary algorithm, the app then converts this data into glucose values. In order to better understand how glucose levels are affected by lifestyle factors, diet / medication / exercise / mood data can also be inputted into the app.